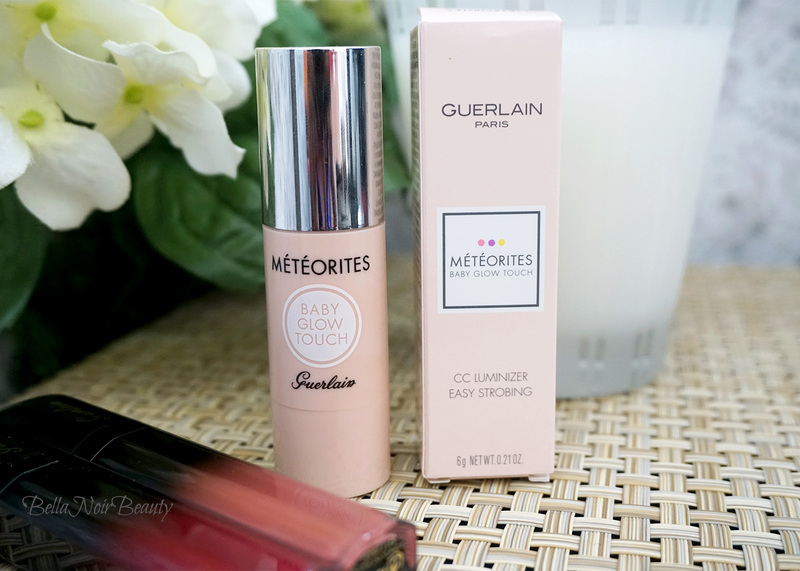 The Guerlain Meteorites Baby Glow Touch CC Luminizer ($39.00) comes in two shades: Golden Glow and Rosy Glow. Golden Glow looked warmer to me, so that's the shade I went with. 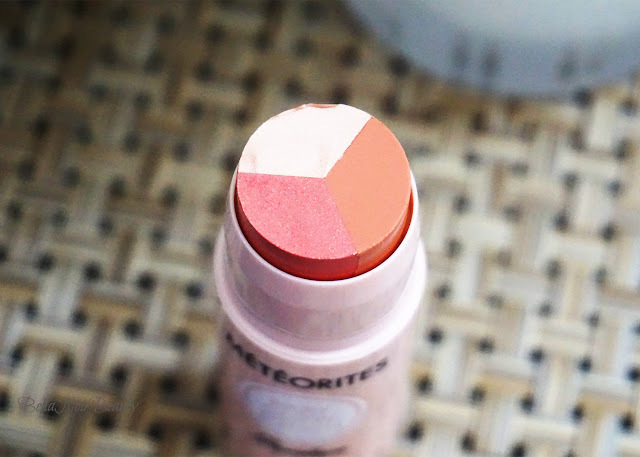 The highlighting stick is supposed to be used for strobing, but the brand also mentions color correcting, at least with regards to the Rosy Glow shade, from the brand's website. If I can be frank, forget about all the color correcting business. 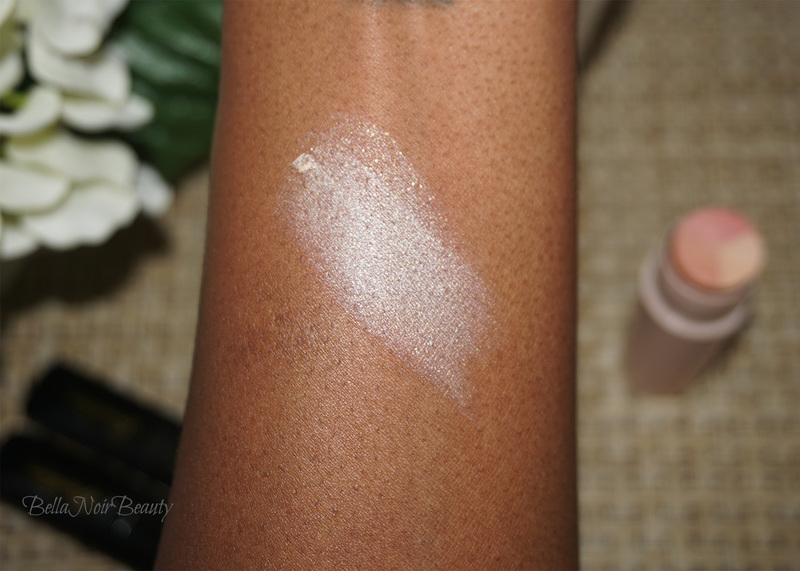 This is a highlighter stick that provides subtle to intense highlight. On my skin tone, the three different colors do not translate well and it appears as a champagne highlight to me. The product itself is quite hard to the touch in the tube which was a surprise to me, but that didn't interfere with application though. That said, there is a tad bit of a learning curve to it but once you get it down, you're all set. 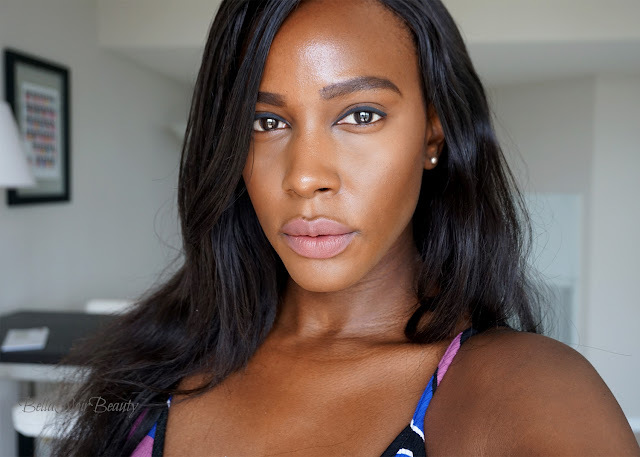 I have tried using the highlighter a few different ways and found that the best way is using my fingers to take product from the stick and apply it to my face and down the bridge of my nose - this looks amazing down the bridge of my nose! Sidenote: I already have a pretty slim nose but sliding this highlighter down the bridge of my nose gives it extra definition. I've not had a highlighter where I felt compelled to use it this way, but this one, I definitely see myself using that way more often. In a nutshell, if you have a wider nose or just love to contour your nose this highlighter is grrreat for that and makes it easy peasy. The photos above only show it on my cheekbones but it's beautiful and also natural looking on the nose. Once I ran my finger over to top of the highlighter I was happy to see that it did not ruin the top of the product; the three shades were still separate and visible in the tube. 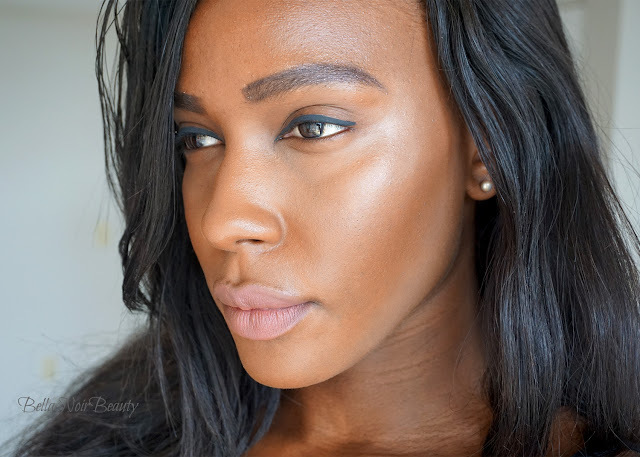 This method isn't the easiest way to get the highlighter on your face because the product is so stiff, but it is the most effective way to get it on there without moving everything else around on your face.On that note, I found the highlighter only slightly interferes with foundation, but that is easily fixed with a bit of blending. Initially, I applied the highlighter directly from the stick onto my cheekbones and blended out with my finger. I found that I was using too much product that way as I normally go for a subtle highlight. I also tried the same application but blending with a brush, as well as using the brush to get product from the tube instead of my fingers. It actually worked well using my fingers to apply and the brush to blend, but why dirty up a brush? In the end I found using my fingers for both was the least disruptive to the rest of my makeup. I don't try to get a particular shade when I use this as I find it all meshes together in the end. However, if I only want to use the rosy shade, this is possible but I have to be very careful not to touch any of the other shades which is quite hard because the top of the tube is pretty small in diameter. I love the idea of it and I actually really like the results. I'm not gonna lie, Guerlain isn't really a brand I look to when it comes to highlighters; they are mostly known for their Meteorites powders and their bronzers which don't work out for my skin tone. So I didn't even think this would work for me at all. I am very happy with the product and reach for it often. I love that it can provide a subtle glow or you can go full on strobe! While I love the idea of the three colors of the stick working together to create shades that could be a highlight and a blush, it didn't turn out that way on my skin. I believe if the product were more creamy, and I mean a lot more creamy, perhaps it would. But then it might also be a mess in the stick. I ADORE this on your skin tone!! Oh my goodness, it's so stunning!! !